Looking east across the old rooftops of Gulangyu to high-rise Xiamen. You won’t find any cars on tiny Gulangyu, but you will find pianos—more than 200, as best as I can tell. They are reminders of the days when this two-square-kilometer islet served as an enclave for European merchants, missionaries, and envoys, who began establishing communities here in 1843 after the neighboring island of Xiamen—then known as Amoy —was pried open as one of China’s first treaty ports. 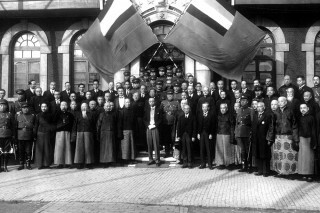 The music-loving colonials, posted far from London, Amsterdam, Lisbon, or Berlin, shaped Gulangyu in the image of their homelands, filling it not just with pianos, but with a hodgepodge of Italianate villas, Victorian and Neoclassical mansions, and churches in any number of styles. While Xiamen proper has evolved into a sprawling Special Economic Zone, time seems to have stood still on leafy, traffic-free Gulangyu, a five-minute ferry ride across the channel. 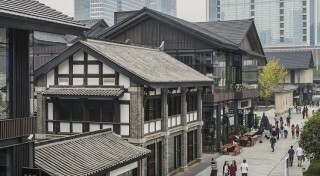 Remarkably, much of the old architecture survived both the traumas of the Japanese occupation during World War II and the worst excesses of the Cultural Revolution. Now home to some 20,000 people, Gulangyu (the name means “Isle of the Drumming Waves”) has a museum-like quality to it—not to mention China’s only museum dedicated to the piano—making it a popular destination for day-tripping tourists from Xiamen and the mainland. I join a ferry-load of them one morning, contemplating Gulangyu’s pink-tiled roofs as we move across the water. Toward the southeastern tip of the island, I can also see the towering granite statue of Zheng Chenggong —a.k.a. Koxinga—which speaks of an even earlier period of history. A controversial figure—at times worshipped as a hero, at times reviled as a pirate—Zheng Chenggong was a Ming dynasty general who based himself on Gulangyu after leading an armada against the Dutch in nearby Taiwan, and spent the rest of his life campaigning against the encroaching Manchus. The chaos fades as I make my way inland. Stone archways and colonnaded facade loom on either side of the winding lanes; behind wrought-iron fences I glimpse manicured gardens ablaze with spring blooms. Beyond the shade of a banyan tree draped in Spanish moss, a group of giggling young tourists draws me to what looks like a small toy store. Ducking in from the street, I instead find myself in a café lined with ranks of toy-soldier nutcrackers, some life-size, some as small as my finger. 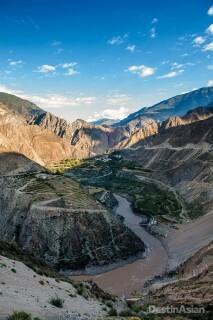 The owner, who introduces himself as Jason, hails from Qinghai province, far to the northwest. As he whips up lattes and cappuccinos amid the blankly staring wooden figures, I ask him, why here, and why nutcrackers? Back on the street, people are making way for a man hauling containers of water on a wooden cart. Gulangyu doesn’t even allow bicycles, and the sole exceptions to the no-vehicle rule are a few fire trucks and a handful of electric tourist buggies. Following the piano music playing from outdoor speakers installed around the island, I walk on toward the south coast, and find myself in front of Shuzhuang Garden. Inside is one of Gulangyu’s most ballyhooed attractions, the Piano Museum. Here, a series of buildings houses more than 100 pianos from Germany, Austria, and England, all from the private collection of Hu Youyi, a Gulangyu native who went on to study music at the Royal Conservatory of Brussels before eventually settling in Australia. The rest of my day is spent roaming between gardens and beaches. On the streets, musicians, fortunetellers, and artists ply their trade, strumming guitars, painting caricatures, and sculpting clay likenesses for eager customers. I stop to admire the Catholic church, a whitewashed Gothic structure that is silent today. Farther on, I stroll through the Gulangyu Aviary, where birds sing in counterpoint to the piano music as stately peacocks strut under the high, netted roof. It is late in the afternoon before I stumble across an empty garden. On the grounds of the Fuzhou Art School, it’s filled with replicas of Hellenic and Renaissance statues. Eerie in the silence, the white faux-marble likenesses of Venus de Milo and David seem like displaced ghosts of another era, another civilization. Then the distant whistle of a ferry breaks the spell, and I realize it is time to go. 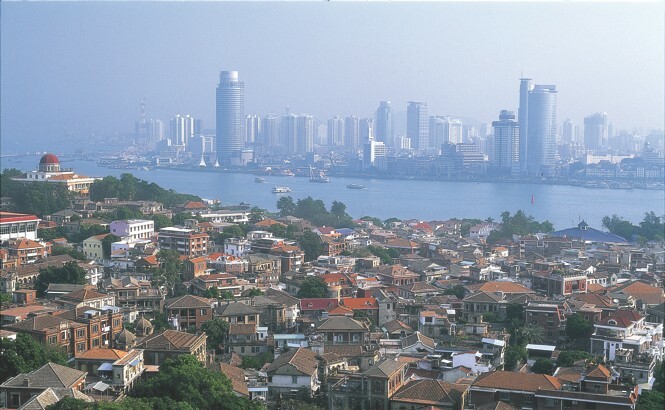 Xiamen, the second-largest city in Fujian, is also the province’s main gateway for tourists. Cathay Pacific (cathaypacific.com) flies there several times a day from Hong Kong, while Silk Air (silkair.com) operates a regular service from Singapore. Boats depart the Gulangyu Ferry Terminal every 15 minutes. ** Le Méridien Xiamen: The best choice for day-trippers from Xiamen proper. No. 7 Guanjun Lu, Nanshan, Xiamen; 86-592/770-9999; starwoodhotels.com; doubles from US$110. ** Miryam Boutique Hotel: A pleasant option for those wishing to spend a night or more on Gulangyu, with 15 colonial-style rooms situated at the foot of the isle’s highest peak. 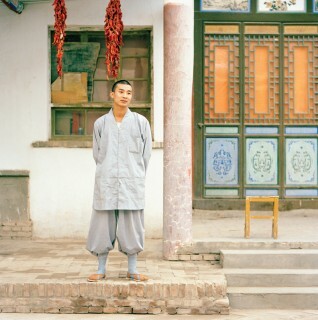 70 Huangyan Lu; 86-592/206-2505; miryamhotel.com; doubles from US$106. A world away from Bordeaux, old-word grapes are finding new purchase in China’s Diqing prefecture. 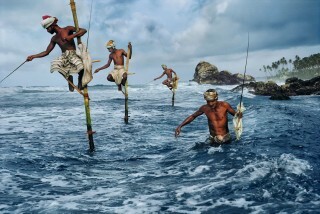 Beijing's "Power of the Lens" exhibit captures nearly two dozen of the world's best photographers. 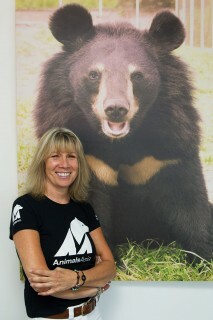 Animals Asia strives to protect the continent's endangered bears from the agony of bile farms.